Sanders, however, did not file a declaration seeking a seal on the exhibits until Aug. 28, according to court records. On Aug. 31, the files, which were in multiple binders and boxes, were taken into Orange County Superior Court John Conley’s courtroom from a clerk’s office in the Central Justice Center, where the public could request the documents. A hearing on the request to seal some of the exhibits was held on Sept. 2. Conley asked Sanders if he meant to request a seal on Exhibit B, which contains information gathered when Sanders was seeking the same legal remedies in the case against Scott Dekraai, the worst mass killer in the county’s history. Sanders said that exhibit should also be sealed. At the Sept. 2 hearing, Conley also wondered if the Orange County Register had a copy of the exhibits containing the sensitive information based on an article the newspaper ran on Aug. 27. Sanders said the paper only had a copy of the motion, not the exhibits. Conley then ordered some exhibits sealed and the redacting of sensitive information in other court papers. At a later hearing last month, prosecutors noted defense attorneys had missed multiple necessary redactions, prompting Conley to provisionally seal all of the exhibits. Senior Deputy District Attorney Matt Murphy argued in today’s brief that the documents include Social Security numbers, birth dates, telephone numbers, driver’s licenses numbers, home addresses and other personally identifying information of defendants, witnesses and victims of violent crimes. Defense attorneys ran afoul of state rules of court on how to file a document with the intent to have all or parts of it sealed, Murphy argued. They also violated Marsy’s Law, which gives victims various rights in criminal cases, Murphy argued. On Friday, both sides will argue how much more needs to be redacted from the documents. Murphy further argued in his brief that Sanders should have known better since the same issue popped up in the Dekraai case in early 2013. In fact, a Register reporter had viewed the unredacted documents filed in that case before Orange County Superior Court Judge Thomas Goethals could seal them. “Unfortunately, it appears this valuable lesson regarding public exposure of sensitive material had been forgotten by the time the defense filed their motion in Wozniak,” Murphy wrote. Wozniak is accused of shooting a friend, Samuel Herr, after luring him to the Los Alamitos Joint Forces military base in May 2010. Prosecutors allege he then used the victim’s cellphone to trick another friend, Juri Kibuishi, into going to Herr’s Costa Mesa apartment, where the defendant gunned her down and then made it look like Herr killed her during a sexual assault. Wozniak then allegedly returned to the base to dismember Herr. 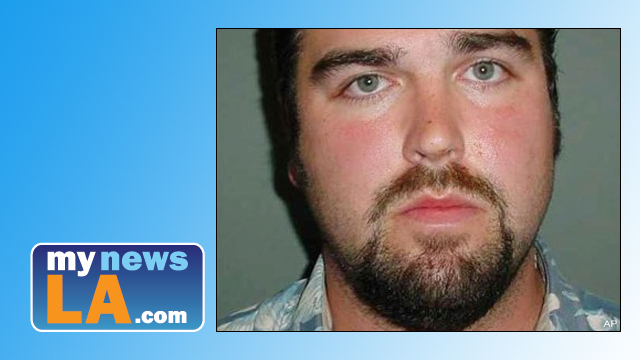 Wozniak allegedly committed the crimes to steal from the victims to pay for his wedding and honeymoon, prosecutors said.